Disclaimer: This post is sponsored by T-Mobile. All opinions expressed are my own. 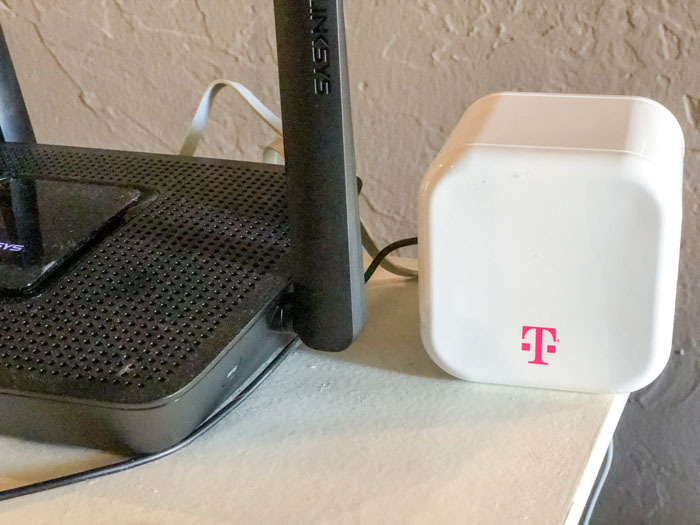 Introducing T-Mobile FamilyMode : An option for managing media use in your home. Whether we like it or not, technology is a way of life now. As adults we depend upon our devices for work and communication, and kids are getting internet accessible devices at earlier ages. I don’t even know what it would have been like to grow up with instant communication tools and the internet, but my kids do! The average US family has 5 or more internet-connected devices in the home, and kids get their first cell phone by age 10 (info obtained from T-Mobile/Newsroom). So I know for families with kids at home this brings up an important discussion about how much access our kids have… and when! My kids are older and rely on the internet for school, work, and to stay connected with my husband and I, just to list a few things. So helping them to develop healthy habits using technology has been important to me as a mom as they’ve gotten older. 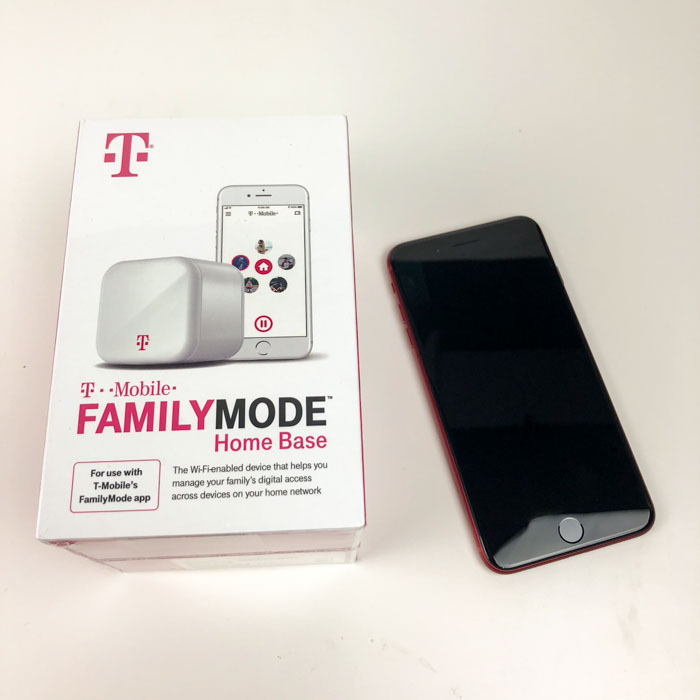 For parents looking for a reasonable (and realistic) solution to managing internet devices in the home, T-Mobile now offers FamilyMode. This device can manage when users can log on, which devices can have internet access, and you can set time limits for access easily with your app. My personal reasons for wanting to try this product are that I have an adult teen still living at home, who is very into computers and probably knows his way around the internet better than me! I wanted to put in some safety features that helped me stress less about him staying up later than, me or using his technology when I’m not home. With my job I am out of the house for events in the evenings when the kids are home, so I don’t feel like I need to check in as often with this device. You can read more below! You can Control data usage including pausing and resuming access on devices with the app installed – so to round everyone up for dinner we are not competing with an exciting round in our teenager’s video game! FamilyMode can provide real-time location monitoring. Now for us, we don’t really need to monitor where the child and his or her phone is, although that’s a great feature for younger kids. But, we can use this feature to help our kids find their phone if/when they lose it, which can happen on hectic mornings before work or school. So this feature is helpful even for us with older children. You can Filter web content on mobile phones and on Wi-Fi connected devices. This is a no-brainer for parents of kids of all ages. 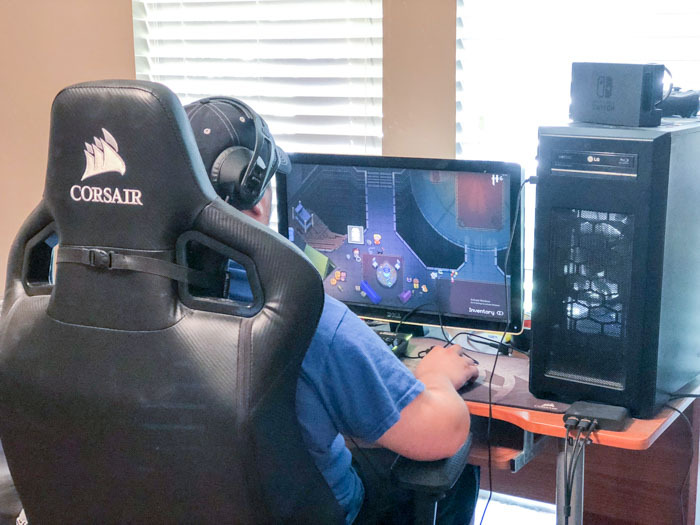 While you’re ok with a few rounds of Fortnite, you may not want your child or teen on certain messaging apps and chat sites. On this note, you can see the device usage including how much screen time was used, which apps, and most importantly the websites which were visited on that device. FamilyMode Home Base can manage your devices. So for us, we do have the home base and I love how it allows me not to rely on my phone and app to use the FamilyMode service. It covers gaming consoles and the Smart TV’s, among other devices. Since we have so many devices in our own home, I can rely on that to know things aren’t being missed. We don’t have cable so watch a lot of videos online and through streamed TV. And, having traveled over the years my husband and I are not always able to view and monitor what comes in on the TV. The Home Base can provide that extra layer of internet security I prefer. The T-Mobile FamilyMode is available for $10/Month and you can order it as either a new or existing T-Mobile customer. You can order at T-Mobile retail stores or by calling 1-800-T-MOBILE. The Home Base is currently offered for $20 (for a limited time). Manage devices connected to your home Wi-fi with either the app, available for Android and iOS, or the Home Base. If you’re looking into cell service with T-Mobile, check into T-Mobile ONE family accounts, with two or more lines. This includes monitored usage for talk and text, along with lots of other benefits at no extra cost. (One is T-Mobile Tuesdays, which I post often about on the blog!). Click here or call for more info. 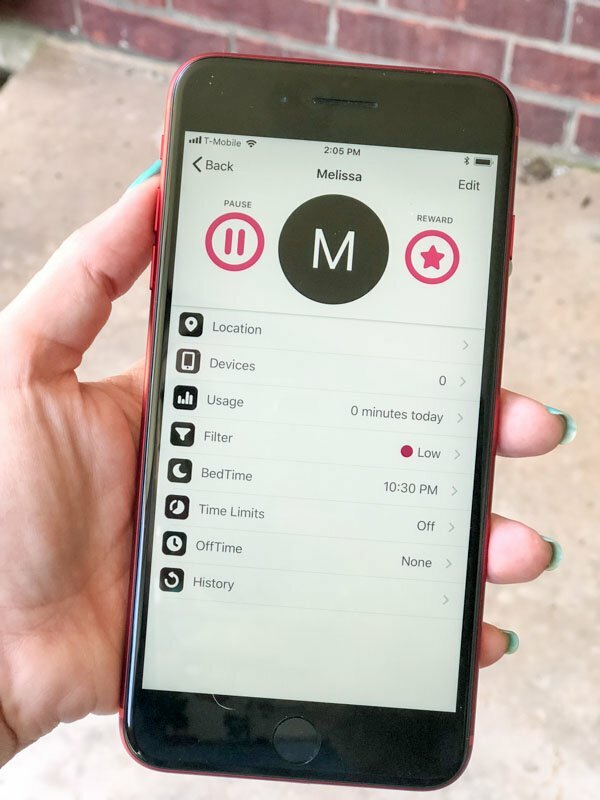 Just speaking from a mom’s standpoint to other parents out there, the T-Mobile FamilyMode can be a great tool. The most important thing in my mind concerning this subject is just safety! So for us, limiting screen time to a healthy amount and blocking pop-ups and inappropriate sites is important. I hope this post has been helpful for those looking for a solution to managing media in your home. Feel free to share in comments or on Facebook and Twitter any tips you have for home internet management!